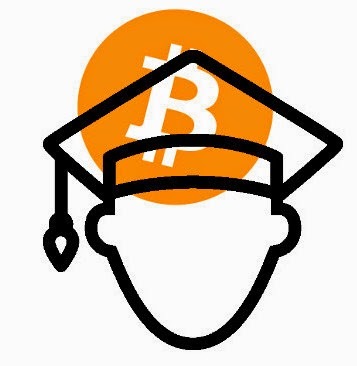 The University of Nicosia, famous for becoming the first university to accept bitcoin payments has introduced a Massive open online course (MOOC) on bitcoin - Introduction to Digital Currencies - starting 20 April 2015. The course content dives into the history of money and comes around the revolutionary solution that bitcoin offers of solving the byzantine generals' problem. Further on the discussion continues on basics and use of bitcoin, blockchains and its alternative uses and everything else regarding the bitcoin economy - especially the regulation, relationships with the central banks around the world, taxation issues and alternatives to bitcoin. To round it off, the discussion goes into the exploding space around the ever-emerging innovations around bitcoin and its use in the developing world - which especially relevant for early adopters and users in Africa. This is the third time this course is being offered. Considering that bitcoin is still a new technology, this is an opportunity to get a full understanding of what it means and the opportunities it holds. Am a bitcoin user myself. Leave me a comment below on what you think about bitcoin. Its a heartache enough living far away in a foreign country without the extra headache of paying huge money transfer fees to help relatives and friends in a developing country. This is the motivation for a research project into the use and adoption of bitcoin in East Africa. In Uganda, bitcoin is already being used and accepted by individual young people and here is BitcoinFilm video of how its working. The words at the end of the video that may be hard to see. remember both passwords must match. Make your own study timetable. Signup for free online training courses. Make sure to 'juice up' or load a substantial amount of airtime on your MTN mobile phone before you travel away from home to Europe. A 'substantial amount' should be about Uganda shillings 5,000/= and above. Thank you for being a faithful reader of our blog. We need your help before 31st December 2011. Our sister team, Youth in Farming, has been selected for the second round of the Youth in Agriculture Awards. To make it to the next round, please help vote for them in a few easy steps. Internet Cafe services that can bring in a good income for the business, making the Internet cafe business profitable and more sustainable. There was an article circulating recently about 2 Kenyans who have "contributed" to making the first african tablet. This was great news. Problem is their contribution was not defined. Maybe they contributed money to the making of the tablet, or design knowledge or knowledge about the smartphone industry in Africa, nobody knows. This article got me thinking though, about what a truly african smart phone or tablet should have. These are ideas from experiences with the phones that I currently have and are in no particular order. There are websites that allow you to make mobile phone apps without the need to learn programming skills. You only need to click a few times and you have an app done. You can have a mobile App for your website, product or service ready in as few as 10minutes! Just sign up and start clicking away. These are notes from the G-Uganda Business day event held at the Sheraton Kampala Hotel on the 8th Sept. 2011. These are my notes as the presentations took place and from some of the sessions I was able to attend. There is a not-so-easy to detect virus on windows XP that quickly uses your internet connection. It is not easy to detect because very few major antivirus programs are able to scan and uproot it from your system. Forget the PE builder and having to scrape the web for Windows server 2003 files. Making a windows XP, windows Vista or Windows 7 bootable USB drive should not be difficult anymore. I downloaded a presentation which is distributed .key format which needs a Mac machine to open or read it. Just to share, there is a great free online website, zamzar.com, that uploads your file and converts it to either pdf or powerpoint format, .ppt. This file can then be read using openoffice. This morning while walking to pick a taxi to work, I received a phone call from a smooth talking fellow. The person on the other end of the line greets me and introduces himself as Mukasa. He goes ahead and asks about how my former colleagues in tanzania are doing. I respond cheerfully responding that they are all doing well and also that I had left tanzania to work in Kampala. He mentions names of my tanzanian colleagues. This made me think that I had probably met him during the couple of years I had spent in tanzania. Are you a budding entrepreneur running a company or non-profit organisation drumming up support for your cause in Uganda, then you need a website! Trying to run a business without a website is like trying to run a business without a telephone. These days, having a website is crucial. Enjoy free surfing with 100MB of data, 20 free SMS and 10 minutes of talk with Kwiktok from utl for only ugx. 250/=. To activate, simply dial *250# now. I now went ahead to type live-install at the boot prompt & press the Enter key. I was glad to get this working. I did not have access to any other machine running a different version of ubuntu with which i could make a bootable usb drive. In East Africa, receiving money via paypal is not possible except Kenya which has finally joined South Africa on paypal's list of countries where sending and receiving money is possible. Because of paypal's bias, several local NGOs, companies and individuals cannot receive donations or payments for services or products via paypal's network, which is the most trusted way to pay and receive money online. I often get asked by friends on the best website to use to send free SMS to Uganda, Kenya or Tanzania. 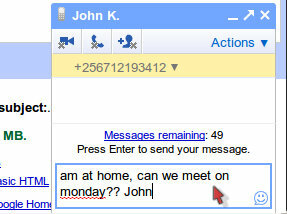 Google Mail (GMail) has now made this possible. 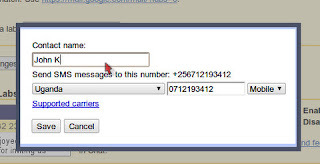 Steps on how you can send free SMS to people in Uganda, Tanzania and Kenya. 1. Get a Gmail Address - Sign up for a free Google email address here. 2. After you have signed into your Gmail email address, you should now see the Send SMS box just above the chat box, as in photo on the left. **If you do see the Send SMS box, just skip a few steps below. Otherwise, go through them so you can help your friends enjoy this cool feature. 3. Sign in to your Gmail address. Look at the top left corner of your open email address and click on settings. 4. On the Settings page, locate and click on the Labs tab. 5. 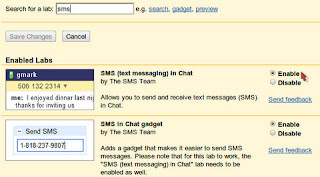 On the Labs page, search for SMS and click on the circles next to Enable to activate each of those items, as shown in the photo below. Remember to click on Save Changes at the bottom of the Gmail Labs page. After you have done that, you should now be able to see the Send SMS box above the chat box just below the links to your inbox. Otherwise, type in the number of person you would like to send an SMS & press ENTER key. 6. You will get a small pop dialog box in the middle of your screen. Fill in the name of the owner of the mobile number you sending SMS to. Select their country from the country list (extremely useful feature to send SMS to friends allover East Africa). Remember to click on Save when you done. 7. A small chat box will appear at the bottom corner of your GMail page. Go ahead and type away your SMS (keep it to 160 characters like a normal SMS). - As sender, please include your full name. The SMS don't display sender's name, only their email address. - If you send the SMS in the local language (luganda, kiswahili...), the reply instructions on the mobile are still displayed in english. You may consider writing to the receiver in the same local language how to reply to your SMS. - The number listed as the sender's name on MTN Uganda is 0902801159, which is most likely a non Ugandan network number, replying or calling it could cost more than local telecom rates. - There is no delivery report system in Gmail that an SMS has been delivered to the phone you sent it to. 1. Each Gmail user has 50 free SMS. Every time you send an SMS your SMS quote decreases by 1. Every time you receive an SMS message in Chat (for example when a phone user replies to one of your messages) your quota increases by five, up to a maximum of 50. 2. To buy more GMail SMS, send an SMS to your mobile phone and reply to it several times. Each time you reply to your SMS using your mobile phone, your GMail SMS count goes up by 5 SMS. 3. To block SMS from Gmail user, just reply to the message with the word 'BLOCK'. If you change your mind about the user and would like to receive Gmail SMS from same user, reply with the phrase 'UNBLOCK' to the phone number from which the message was sent. Use this free service sensibly. Please do not spam your friends with wedding meetings SMS, death of your mother SMS or that you have no money. There is an ICT4D comic contest running at the great knowledge sharing platform which am sure you would want to participate in. All you have to do is to write a script a man and a woman (or boy and girl) walk onto the scene. He walks bent forward (as if he is burdened by something). She says: "What's the matter?" He says (scratching his head): "[xxxxx]"
He jumps up and down. Here is the link to the comic contest. The recent entries should be a cue enough for you to be as creative as you can be. I went a step further and created a free account at the GoAnimate website. Their help in getting you come up with your first animation is great - you do not need to be an animation designer to do this. Here is my animation out of their training. Am going to use create animations like this in future using their platform to explain my ideas. The huawei e1752 does not work out of the box easily with linux. The post in the ubuntu forums, especially a post by birkopf, did the trick. 1. Install usb-modeswitch (Navigate to System > Synaptic Package Manager. Search for usb-modeswitch & mark it for installation). You can also download the usb-modeswitch .deb file here. 2. Right-click on network manager icon and click on "Edit connections". Select "Mobile Broadband" tab, if you this install guide doesn't pop up on your computer. Go through the steps as demonstrated here on the Orange website. You don't need to add DNS server numbers manually. 3. Open the terminal & issue this command. Press Ctrl+X to quit. Press "Y" and "Enter" to save your work. Add the following code to the last part of the file. Ctrl+X to exit. Press "y" to agree to the changes & press "Enter" key. Use this command in the terminal whenever you plug your modem onto your eeepc. You should notice your network manager icon connecting to the Internet. Ubuntu 10.04 users: Use the Orange uganda linux instructions to setup a connection with the e1752 modem. It works fine. Competition in Uganda's telecom market is getting to a high like never before. Uganda enjoys an ever increasing number of telecom players, most notable is: MTN, Uganda telecom, Zain, Warid, Orange, Smile Telecom, i-telecom, Foris telecom. Each of these is trying to out-do the other in offer better phones and call rates. Dear Customer, Buy one Kasana solar powered phone at UGX. 60,000/= and get one free! Hurry and get yours now while stocks last, at UT (Uganda Telecom) shops countrywide. 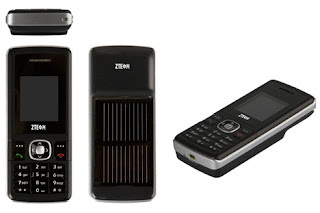 It is interesting that this phone which was retailing at UGX 81,000/=, as the Uganda telecom website notes, is now at only UGX. 30,000/=! The Endobo profile allows a subscriber to load UGX 1,000 and call for free the whole day any other Uganda telecom subscriber numbers including landlines. Computers and the Internet are certainly changing the way we do things. For the very first time, the electoral commission is displaying the national voter's register online!! Citizens now have the ability to browse the entire register at their convenience. The national voter's register can be accessed via the electoral commission website here: http://www.ec.or.ug or http://41.210.167.106/nvr/, considering that the website is facing a name resolution problem. Users cannot search the register for their names, unless they know the name of the district, constituency, sub county, parish and polling station. 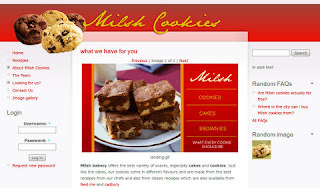 Website or register has no web 2.0 features. Users cannot share the resource with their friends or easily give feedback to improve this resource. Since the register is uploaded online to allow citizens a chance to check the correctness of their names and particulars, no where is it mentioned on whom to contact when discrepancies in the register are discovered by the users. Besides, these issues, it is worth noting that this is a great step in the right direction. With this kind of trend, elections rigging will greatly be reduced when the results of each candidate are uploaded into the system at each particular polling station. Hopefully, the 2011 election will not incidences of altered election results. My blogging days seem to be back now. Finally and for good! You want to know why? Here below I present to you seven (7) reasons why am back to blogging full time. 7. Time is now to lead Ugandans to blogging: Following the recent riots in Uganda attributed to the government's refusal to allow the Kabaka of Buganda to freely travel in his kingdom, many people (not necessarily Baganda) took to the streets to vent their anger towards bad government policies. Several radio stations were also closed down by the government. 6. Social networking websites.. for instance facebook and twitter: Facebook is the lastest way to keep in touch with former school buddies, friends and colleagues. Each of these upload info on what they are doing and where they are. Therefore, a great resource for free topics to blog. 5. Citizen journalism: A platform where citizens report the news as it happens in their communities. An example is Uganda's current news page. On some websites, reporters are paid a commission on the news that they report. This could be an income earner for the so many youth whose otherwise have no hope of getting a decent job. 4. Making money online: Blogging is a rich platform for paying whoever does it well. Picking a niche a writer is passionate about is what is required to start reaping big monies from blogging. 3. Internet Cafe business: Offering an Internet access service in my community is a huge benefit where local users help me clear my monthly Internet bill plus turning a profit while doing it. 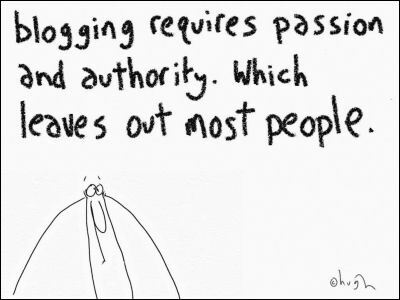 The opportunity of spending more time online is another opportunity to blog. 2. Exploding ICT: With the advent of Internet carrying fibre optic cables, information communication technologies are just about to explode. More people are going to get online for social networking, find out about market prices, scholarships, donors, jobs... There is no better time to join the online fraternity than now. 1. Fast, cheap Internet access speeds: Internet access speeds have greatly increased since the first optical fibre cable, seacom, launched in Kampala. The speeds offered by one of the providers are really great. My connection connects at 3.6Mbps and for an entire week i have used it, very few or totally un-noticeable outages! It is bound to get much better in the year 2010! So see you around here more often my friends for only the best... 'coz am back! High data rate internet access has finally come to Kampala. Seacom, which has laid the 17,000 km optical fibre on the ocean bed linking east and southern Africa via Europe and India has concluded its work this week. High speed internet has now been delivered at the different points of presence. The 1,28 Terabytes per second (Tb/s) link with the capability to maintain two million phone calls simultaneously is expected to reduce the cost of Internet connection by more than 80 per cent much lower than satellite connection currently used in the country. The market price of one megabyte per second of broadband has been averaging $2500-$5,000 (about sh5m - sh10m) in East Africa. 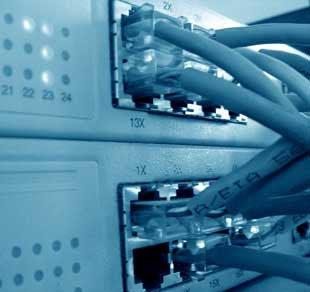 SEACOM’s initial offer to Internet service providers (ISPs) will be at $400 (Shs800, 000). It is expected that the ISPs will then provide it to the end users at least 75 per cent less. Uganda, like its east african neighbours, has not fully enjoyed and exploited the benefits of the Internet. Much of this has been hampered by the low penetration of electricity throughout the country, fewer computers available and the low computer literacy levels. Hopefully with the advent of high speed Internet, the government will feel the urge to educate the population on the potential of this great infrastructure towards development. Kiyita Family Alliance for Development (KIFAD), a community based non-profit organization in Nansana Town Council, Wakiso District Uganda operates an offline-driven telecentre with a focus on families infected and affected by HIV/AIDS. Noting a deficit of information and poverty among families in the Wakiso area, a few families came together to work to rid their community of these evils, thus the formation of KIFAD telecentre. The telecentre is equipped with four computers with CDroms, a photocopier, digital camera and lots of paper content including books, brochures, posters, pamphlets. The telecentre is run by the programme manager who oversees all the activities undertaken and a group of volunteers who are always on hand to research for information beneficial to the families under the telecentre program. AIDS Information Centre, specializing in HIV/AIDS counseling and testing, a service now available to the community every month free of charge. Infectious Diseases institute, working with discordant couples care and HIV/AIDS counseling and testing. Naphofanu, an umbrella group for people living with HIV/AIDS. These are offering training to mostly women to setup and run income generating activities, demystifying HIV/AIDS and promoting positive living. Uganda redcross society. KIFAD telecentre being a member of this society in involved in practices like blood donation exercises to save lives. Red Cross has also offered to train members in providing first-aid treatment. Mildmay, family Hope – are some of the organizations that are providing free HIV/AIDS care and treatment but albeit unknown to many HIV/AIDS patients. Support to children of families affected with HIV/AIDS with education funding agencies. KIFAD has given hope to so many people in the Wakiso community. From humble beginnings of a couple of families to a sizeable number of over 200 working together for development. More people are getting are becoming aware of the dangers of HIV/AIDS and are more willing to undergo HIV/AIDS counseling and testing. Stigmatization has greatly reduced. HIV/AIDS carriers can now open come out to talk about their experiences. To use information communication technologies (ICTs) including mobile phones, computers, portable devices (PDAs) in the fight against HIV/AIDS. Using the freely available web 2.0 resources (blogs, wikis, social media) to tell story of living positively with HIV/AIDS online. Submitted as an entry to the telecentre.org Blog Contest. If you plan on setting up a business online, you have to learn the tricks of attracting and keeping your web visitors. Nobody done it much better recently, than Barack Obama. Main node installed at the Sengerema telecentre. We setup a mesh network of ten clients using biquads/cantennas, linksys wrt54gl router and one omni. This is the complete assembly with a biquad to re-inforce the link to one of the highest peers. John Kibuuka working on getting one of the biquads squares to scale. Having to make sure that the squares had 90 deg angles.